As always, write the title according to the song I'm listening now. She and Him is gonna launch their newest album on 7th May! This is a huge excitement for me to have both Paramore & She and Him's album almost at the same time. My ears are going to be busy for the next months. Anyway, I dyed my hair pink 5 weeks ago, but seems like it did not last for long because I didn't bleach my hair before... It left some kind of ombre brown with magenta shades on my hair. Still keep a bottle of the hair dye though, I'll give it a second attempt later! A lovely and mystical-looking gold finger collar clips from @wearCAROLS! you are beautiful . And love the combo . i love the print pattern. love your blazer and your skirt! 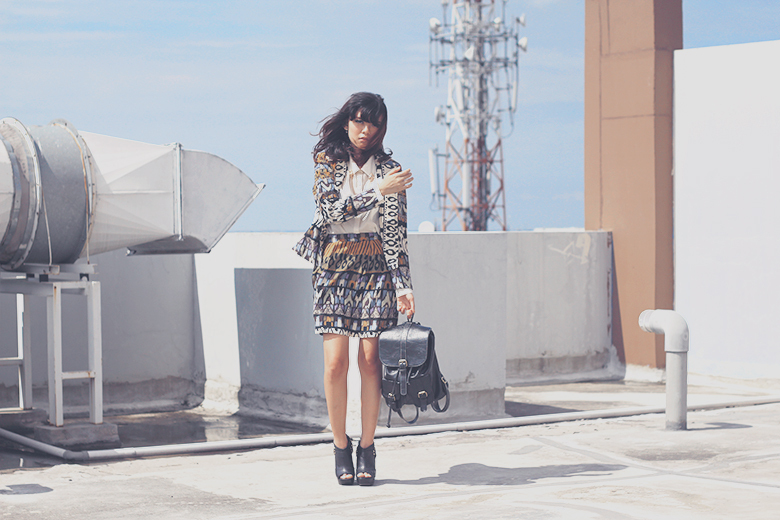 I love your blazer and skirt! 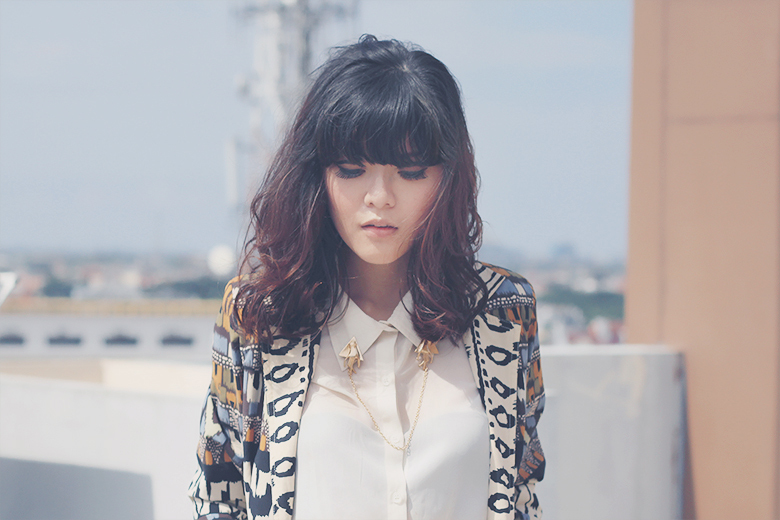 MAJOR LOVE ka son..
omg, so pretty and love the Pattern Sonia :) <3 Loveee your hair too! Look more mature and gorgoeus style !! Love it so much! I love the pattern a lot! Loving your awesome fashion sense! And your Paramore covers are sick!